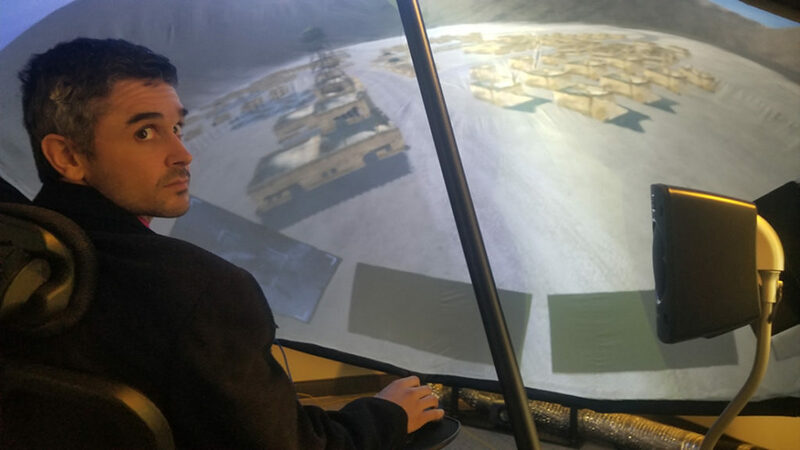 A brand new innovation center was built by the Air Force in Las Vegas called “AFWERKS”. It is a new hub where the tech industry can pitch their ideas. The whole projecte was visited by Vice President Mike Pence for the inauguration. 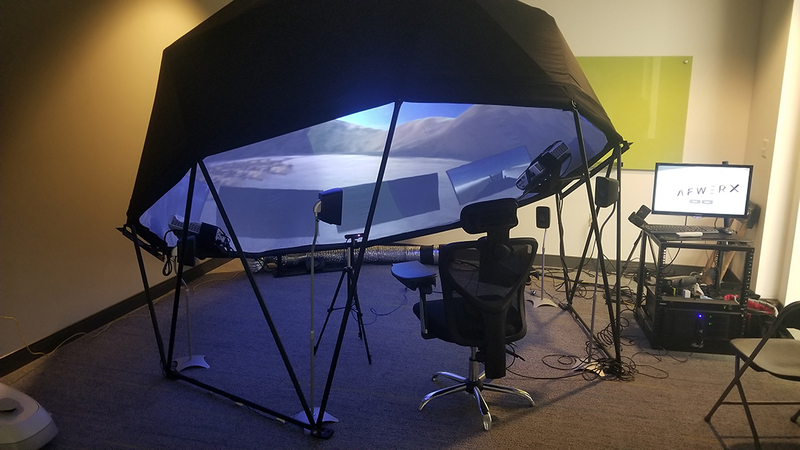 IMRSV-X provided a 10ft 3D 360 projection dome with gesture control for real-time battle visualization and features our new automatic alignment system for dome projection. 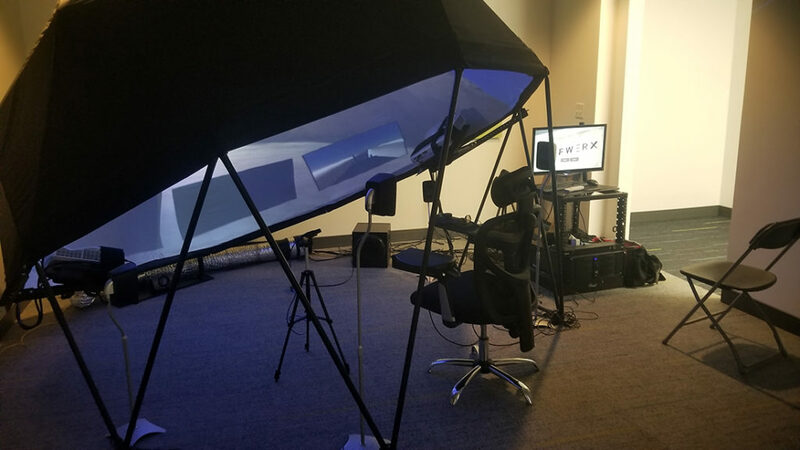 For this project IMRSV-X used a two projector system with auto-mapping software. 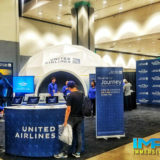 The goal was to have this system run independently so that our team would not have to be on site for every activation. This is one of the first 3D domes systems. 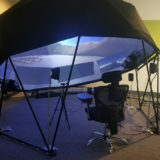 This means that not only is the user immersed in a dome environment but also wearing 3D glasses to make for a more realistic immersive experience. The show allows the user to see what a drone would see in the field and control it. Immersive Experiential used 3d assets to create a desert environment and objects that could be targeted.